Where did I save this file??? See! So simple… But I didn’t do that because that could be too advanced??? 1) File Tab –> Info. 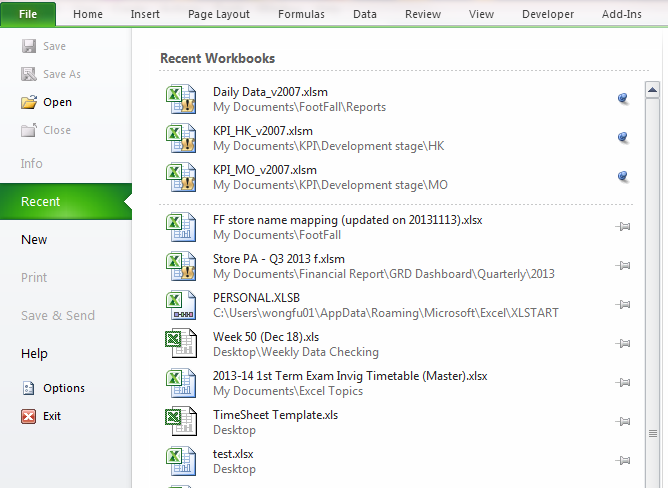 The workbook name and its location are right there, on the top of the Info page. You may also open the file location as shown in the lower right. Do you have other way to do so? Pls leave your comments. 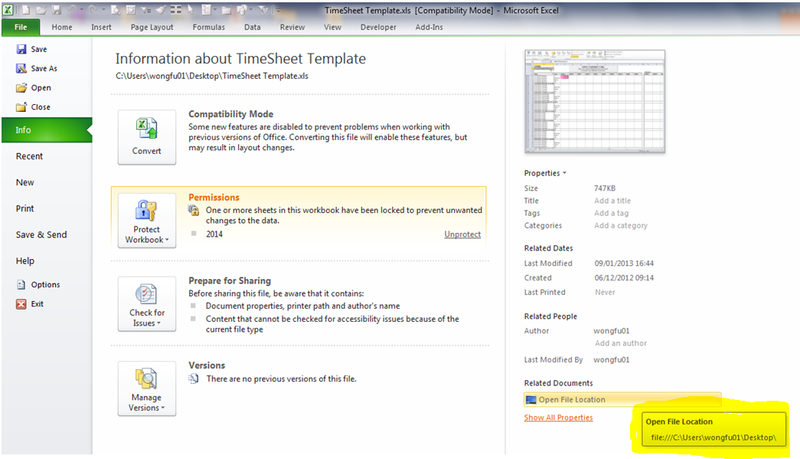 This entry was posted in Excel Basic, Excel Tips and tagged Info. Bookmark the permalink. 2 Responses to Where did I save this file??? That’s a good one. Thanks Anantha!